Nestled in the heart of the Blue Ridge Mountains, in the scenic town of Sapphire, NC, our cozy inn is the ideal spot for a mountain getaway! With beautifully renovated rooms and suites, our family-owned lodge is the perfect base of operations for rest and relaxation or high adventure as you explore this “Land of Waterfalls.” Brook Trout Inn provides the perfect accommodation for enjoying all Western North Carolina has to offer. Hiking mountain trails, kayaking beautiful mountain lakes, and discovering the many majestic waterfalls are just some of the outdoor activities perfect for family travel and adventure-seekers alike. We are conveniently located within a short driving distance of major metropolitan areas, including Greenville, SC; Atlanta, GA; Charlotte, NC and more. 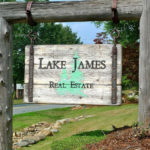 Our central location gives you easy access to Highlands, Cashiers, Lake Glenville, Lake Toxaway, Gorges State Park and the Blue Ridge Parkway.